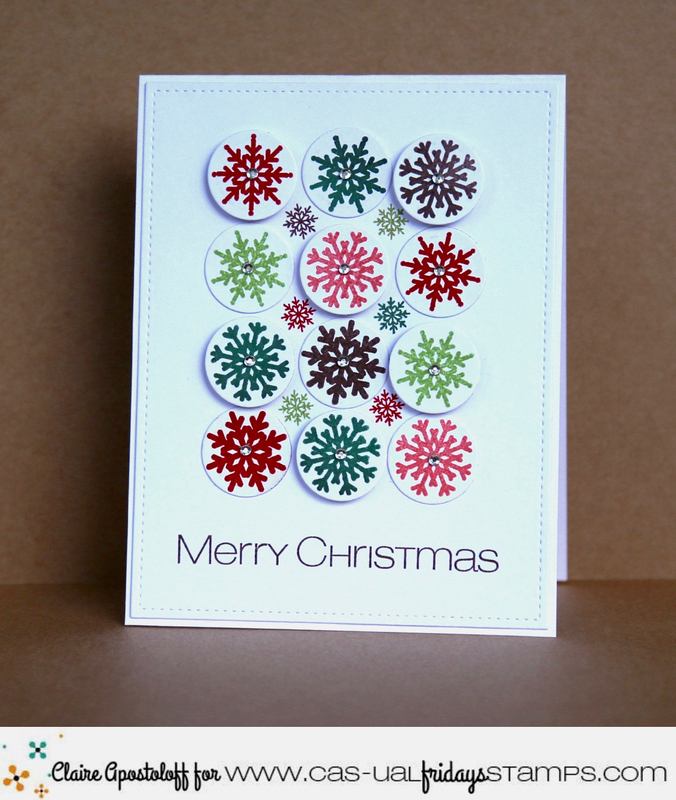 I must have been in a Christmassy kind of mood and reached for Snowflake Greetings for my card. Who doesn't like a bit of bling and sparkle at Christmas? The larger snowflakes in this set are the perfect size for a three quarter inch circle die so I stamped a selection of flakes in a variety of Christmas colours and added a sparkly gem to the centre of each. For some dimension I popped up alternate circles using dimensional tape. It's such an easy way to add a little detail to a card, whilst keeping it clean and simple. So now it's your turn to add some sparkle - share your project and you could be in with a chance of winning a $25.00 gift certificate for the store. 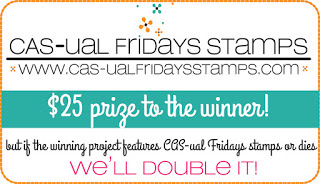 Use CAS-ual Fridays Stamps/Dies as your main focus and you could double it to $50.00! I'm also popping my card over to the Simon Says Stamp Monday challenge which is all about stamped images this week.